Are you a Hotlink user? If you are, and you’ve got a smartphone, you might want to check on your credit balance. We have been receiving numerous reports from Hotlink subscribers that from late last night, they have been receiving messages that their internet quota has been depleted, and they will be charged based on usage. Needless to say, to those who didn’t read the message and did not turn off their data services, they would have woken up this morning to find their credit exhausted. The above image, courtesy of forumer Mafiaz shows the SMS he received notifying him that his internet quota has been exhausted, but a quick check reveals he has only used up half of his 3GB allocation. Those who tried to renew their Internet plans were notified that the system was down, and those who did not turn off their data connection had their credit exhausted at RM0.05/10kB. 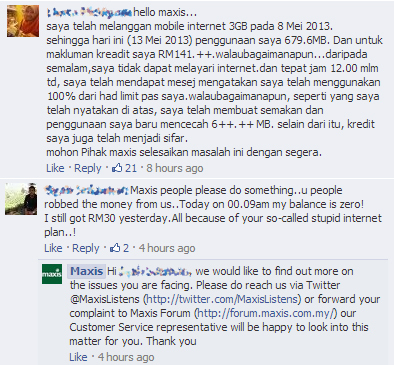 We did a quick check on Maxis’ facebook page an noticed many more complaints of a similar nature. 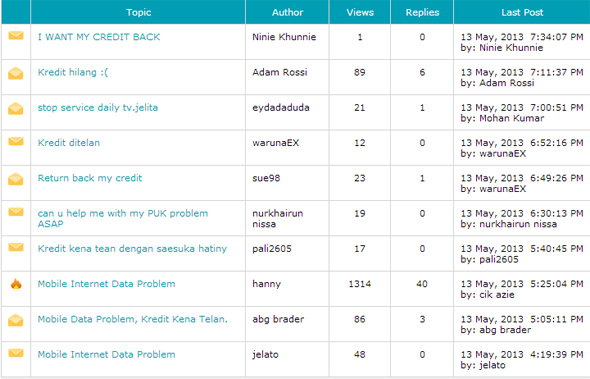 A check on the Maxis Customer Support forums also shows at least a dozen topics on the issue, with no comment or response from the Maxis CS team in sight. 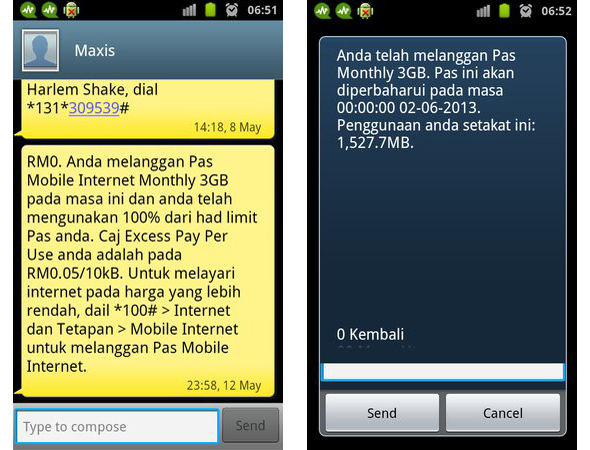 At time of writing, a few customers have managed to lodge a complaint via the Maxis customer service hotline, but have not got any kind of response or acknowledgement on the issue.